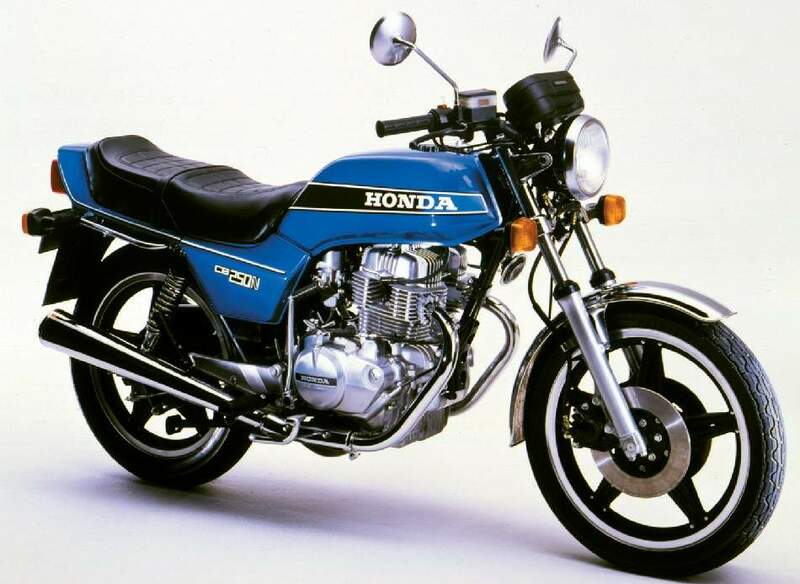 When the CB400F2 four-cylinder was decided to be unsuitable for the American market, and therefore the world, Honda had to produce a twin-cylinder bike with at least as much performance, and came up with the Dream, or Hawk as it was known in the USA. It was also decided that a smaller version could be made for the quarter-litre class and this would also help make their four-stroke 250 quicker and more in keeping in touch with the opposition's quicker two-stroke machinery. Thus, the 250 Dream was introduced but, after the Europeans said that the styling was too American, it was dropped in favour of the 'N' series, better known as the Super Dreams. At that time, Honda hoped they had finally got their mix right! The engine of the 250 is a four-stroke air-cooled twin which features three valves per cylinder, two inlet and single exhaust driven from the single overhead camshaft. They allow better breathing and therefore more performance and economy. To keep the engine smooth, the motor has the now almost universal contra-rotating balance shafts. Power output of the engine is 27bhp at 1o.ooorpm, just a couple of horsepower down on the admittedly lighter 'strokers'. This power is fed through a six-speed gearbox and performance is to the order of a 90mph The CB250N weighs around 3501b so is quite heavy, but this does not affect the handling unduly,-and the bike remains well balanced and easy to ride. The wheels on the bike are the famous Comstars which unlike the earlier Dreams which had alloy rims and pressed-steel spokes are now all alloy and a lot lighter. The styling is the most obvious change of the Super Dream and it has a simulated one-piece tank/seat/tail unit to replace the earlier bike's more touring look. The modern sports look of the replacement model is probably overdone with its tank stripe a rich colour by the saddle only to fade out as the paintwork reaches the steering head and the computer-age-digit numerology on the side panels.